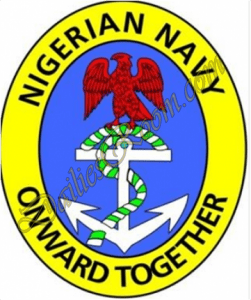 Nigerian Navy Direct Short Service 2016 Application – This is to help all Nigerians candidate who are interested, Suitable and also qualified for enlistment into the Nigerian Navy Direct Short Service. All candidate who are applying or wants to register online for the Nigerian Navy Direct Short Service any here in the country(Nigeria). Here are the Process of which you will follow in other to Apply for the Nigerian Navy Direct Short Service. Firstly, Purchase an e-Voucher in other to get your PIN, Use a Bank debit Card (ATM) to get the access PIN at the sun of 2,500 Naira only. 4. Please ,note that in other to complete the e-Application From you most check your date carefully before Submitting, because after submission you can’t change any thing again. Download and Print a copy of your e-Application form. Pls,When is SSC course form start for 2016/2017 can any one help me to get in,thank you God bless Nigeria. Please I just want to know Which month will Nigerianairfirce recruitment for 2016\2017 will start. when will the application ends and what are the necessary documents required for the application? Please is the dss form out, which form will l buy pls let know. plz can you tell me when the nigerian navy DSS form will come out? PLEASE WHEN IS THE SUCCESSFUL LIST OF CANDIDATES FOR THE 2016 NIGERIAN AIRFORCE BE OUT? Please I want to know when navy will start DSSC? AM STUDENT OF NATIONAL OPEN UNIVERSITY FINAL YAER STUDENT STUDYING CRIMINOLOGY HOPE I CAN ALSO APPLY? I have visited the website, its telling me to log in, i know i need to register before i can log in, i cant seem to find the icon for registeration, if i have to get a card to register, how can i get the card please? Visit http://www.joinnigerianavy.com and check probably is out.